PMB Associates Blog: Celebrate Earth Day with this Spring Thing! Celebrate Earth Day with this Spring Thing! 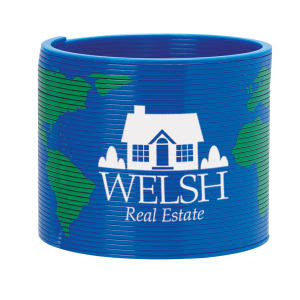 PMB is happy to offer this walking coiled spring toy with globe design! Please note:California law now states that warning labels must be included on all consumer products shipped to the state of California. Remember, we can offer our customers even LOWER prices than what you see online! We guarantee a quick turnaround time that's on or under budget, always! Earth Day Savings From PMB!